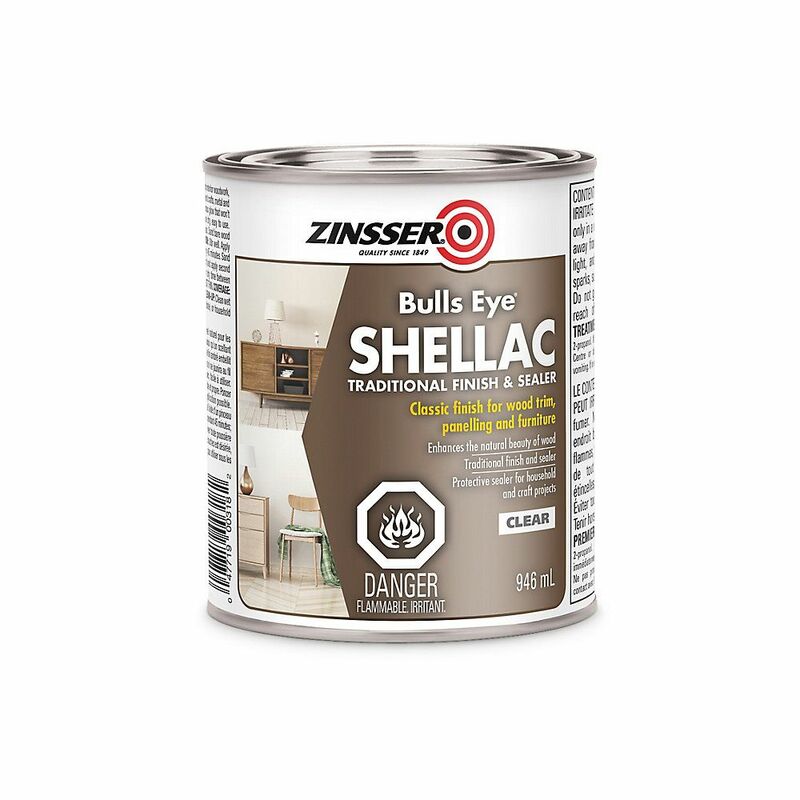 Zinsser Bulls Eye Shellac Clear 946ml Bring out the natural beauty of wood grain like no other finish can, with Zinsser Bulls Eye Shellac. This finish beautifies wood with a lustrous glow that won't darken or yellow with age. The spray format is perfect for crafts and small projects.